Ben 10 Ultimate Alien: Cosmic Destruction :: Ultimate Alien Reveal! Unleash Ben's ultimate alien heroes to take out enemy alien threats! 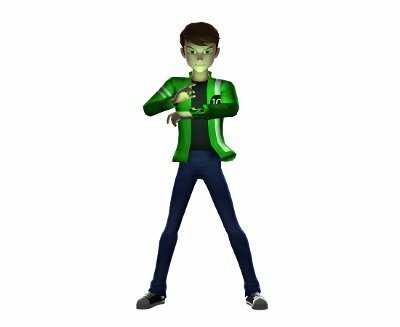 Transform into Ultimate Spidermonkey and other Ultimate alien heroes in Ben 10 Ultimate Alien: Cosmic Destruction!! No Ultimate form is as different from the original as Ultimate Spidermonkey. In addition to being very agile, he now has super-strength and shoots a more powerful webbing from his mouth. Ultimate Spidermonkey is more than TRIPLE the size of his original form. 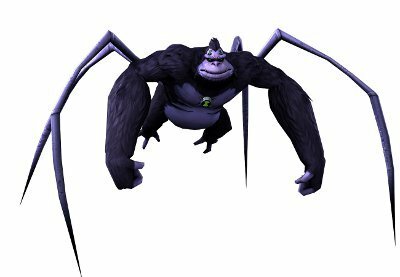 His new height and tall arachnid legs let him attack enemies from a distance; enemies that get too close will have to deal with gorilla-like strength and punches! Ben Tennyson is now 16 years old and an international mega-star super hero after his secret identity has been revealed to the world. Armed with the new mega-powerful Ultimatrix, Ben will see action in places he’s never been. Now on his newest set of adventures, the clumsy 10-year-old from the past has been replaced by a brave teenager who must learn to overcome his reckless instincts to deal with his newfound power, responsibility and leadership. Ben 10 Ultimate Alien: Cosmic Destruction is coming this fall to PS3, PSP, PS2, Xbox 360, Nintendo DS, and Wii!